Lightgliders: New Gliddle Challenges Each Day! 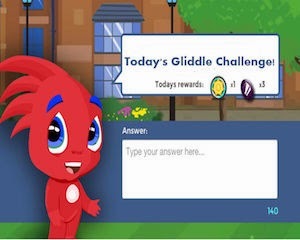 New Gliddle Challenges Each Day! Hello there! We Gliddles want to get to know every Lightglider! And, we want you to get to know yourself even better than you do. So, we have a new GLIDDLE CHALLENGE for you every day in GLIDEBOOK. These are meant to get you to THINK! We ask you a question about yourself and you post your answer to your GLIDEBOOK journal. We'll even make sure you get REWARDS each time you do it! Want an example? Ok. Here you go. "If you could create your perfect day, what would you do?" We can't wait to find out! Nothing wrong a gliddle challenge in life! Get it? This's a fun idea, & we get free in game money just for expressing are response.